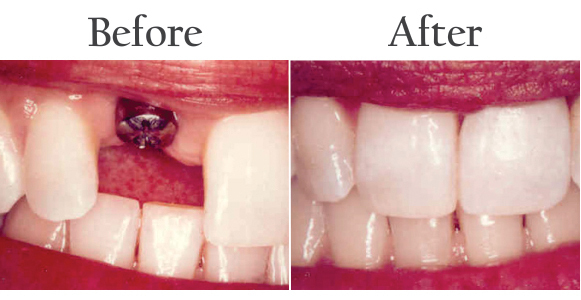 If you are missing your natural tooth, going for a single implant might be the best option for you. Your tooth has two components: Root and Crown. During a dental implant, a titanium or ceramic or zirconia screw replaces your natural root. The screw is surgically placed in your tooth/jaw bone acting as an anchor for the prosthetic device. This treatment is designed to give you natural tooth movement and eating and chewing capabilities. The single implant procedure is more natural looking and lasts longer than other options. If you are missing your natural tooth and are looking for safer options to fill the gap, a Single Implant is the way to go. It replaces the single tooth without affecting the health of neighbouring teeth. It also helps in preserving the bone since your root is replaced with a screw making it more stable. During a dental implant, the root is integrated with the bone making it intact and healthy. We don’t rush into things. Before we begin the implant procedure, we examine the patient and record all the details. Next comes the patient consultation where we brief you on all possible options and help you take the best decision based on your situation and budget. Before we actually start procedure, we will show you all possible outcomes through plaster models, photographs, past implant`s results.